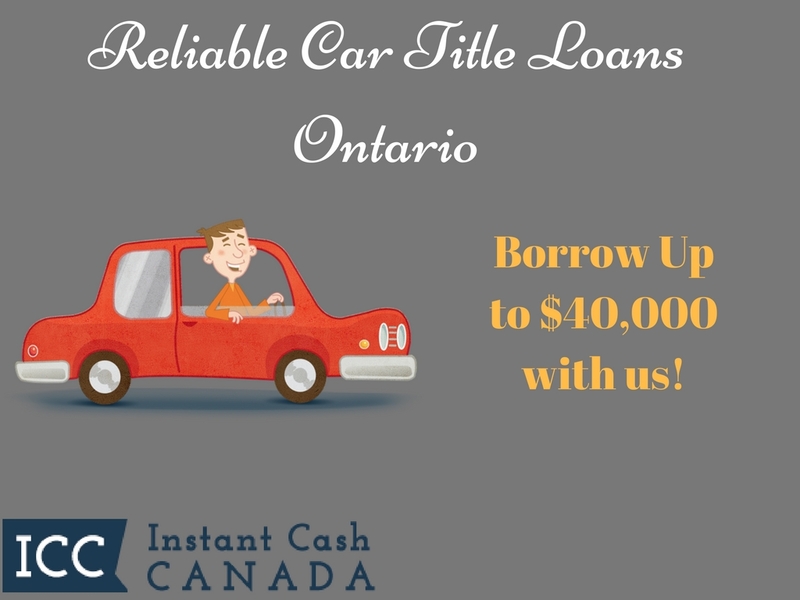 Contact Instant Cash Canada To Get The Best Car Title Loans Ontario! Worried about how to deal with the financial emergency in Ontario? Instant Cash Canada has the best option- Best Car Title Loans Ontario. There is no need to go through the trouble of an unsecured bank loan or short-term loan when you can get connected with our title loan services that aren’t based on your credit score. To be approved for a loan, there is no credit check or job verification required. All you need is a fully owned car with a lien-free car title. You can gain fast access to emergency cash regardless of bad credit or no credit at all. You can also try for Our Bad Credit Car Loans Ontario. You Won’t Find These Loan Benefits Anywhere Else! A simple four-step loan process. Borrow an amount up to $40,000. A completely transparent loan procedure. Low monthly payments as low as $97. Your credit history doesn’t make any difference. Easy-To-Qualify For The Best Car Title Loans Ontario With Instant Cash Canada! Step 1. Call Us or Apply Online for The Best Car Title Loans Ontario. Step 2. Complete The Paperwork. Step 4. Get Funded on the same day of applying. This is the step by step solution for your all financial problem. The procedure is quite simple and secure. Do not get too late to apply for the Best Car Title Loans Ontario. We deliver what we commit. Contact us (toll-free) 1-866-840-7395 For Further Loan Details!